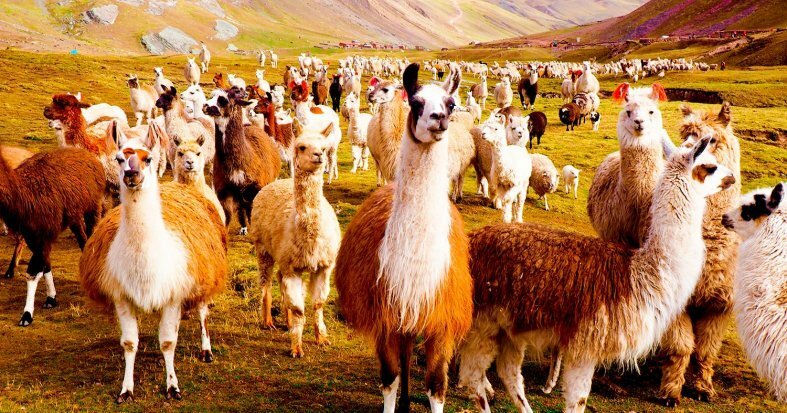 Discover the ancient Inca civilisation with this fantastic holiday to Peru & Bolivia. 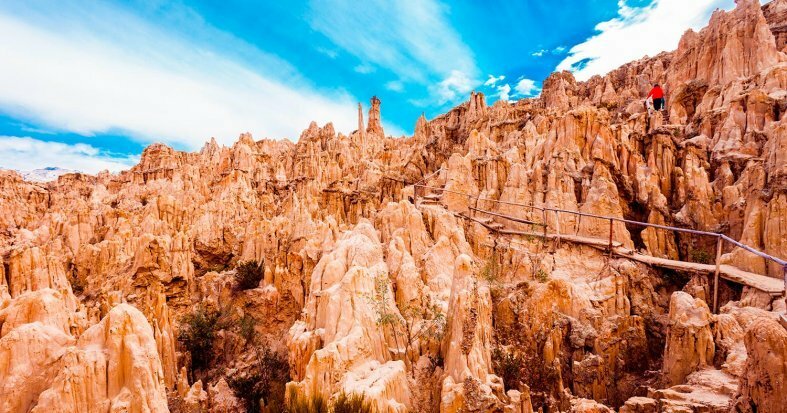 Discover breathtaking La Paz and the salt flats of Uyuni. 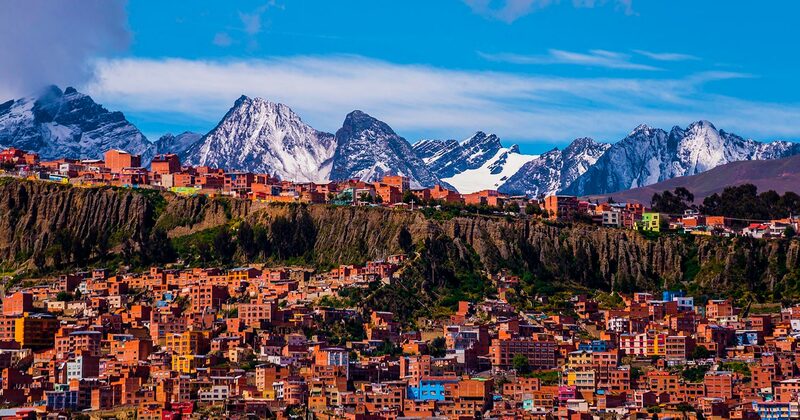 Explore Lima, head up to Lake Titicaca and visit Cuzco, the ancient Inca capital and UNESCO world heritage site. 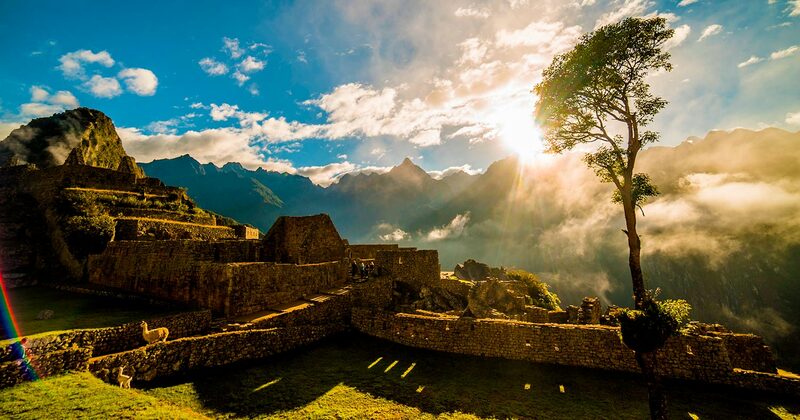 Stop in rural Aguas Calientes before you finally reach Machu Picchu, a true wonder of the past. International flights UK - La Paz , Lima - UK. Domestic flight La Paz - Uyuni - La Paz, Cuzco - Lima *. Expedition train journey to Machu Picchu in tourist class. We strongly recommend you consult your GP reagrding the possible effects of altitude sickness. Arrival at UK departure airport ready to check in for overnight flight to La Paz. Night on board. Arrive in the early hours and transfer to the hotel to get some rest ready for your discovery of Bolivia. In the afternoon, take a fascinating city tour, to get to know the culture and history of the city. Enjoy the historic centre and panoramic views, as well as experiencing the colourful hustle and bustle of the cities markets. Overnight stay in La Paz. Breakfast at the hotel. 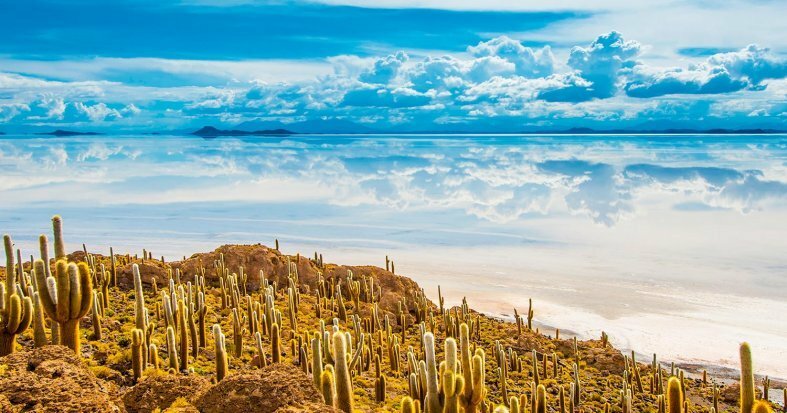 Take a short flight to Uyuni, home to the awe-inspiring salt flats, that stretch across the landscape and make for an unforgettable experience. Transfer to the hotel. 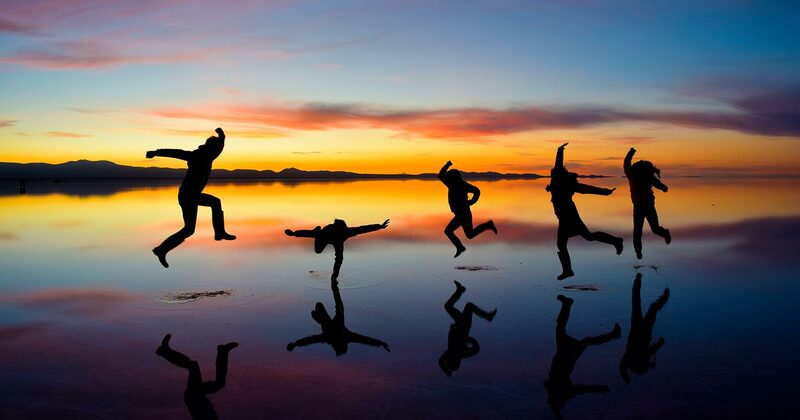 Overnight stay in Uyuni. Breakfast at hotel. Spend the day at your leisure, exploring the landscape at your own pace, or take our optional excursion to the famous salt flats. 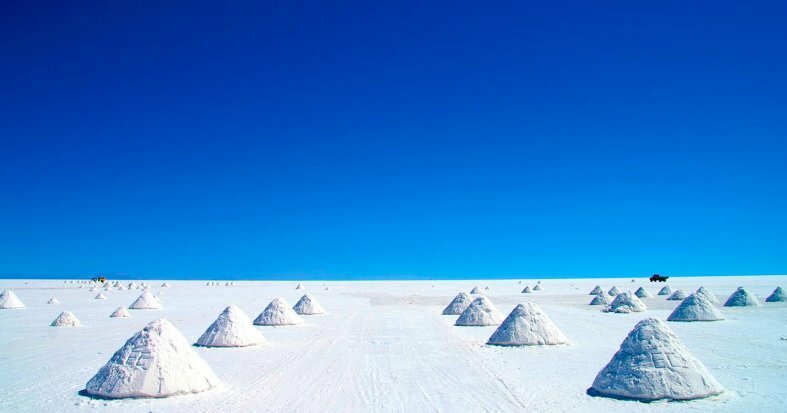 * Overnight stay in Uyuni. 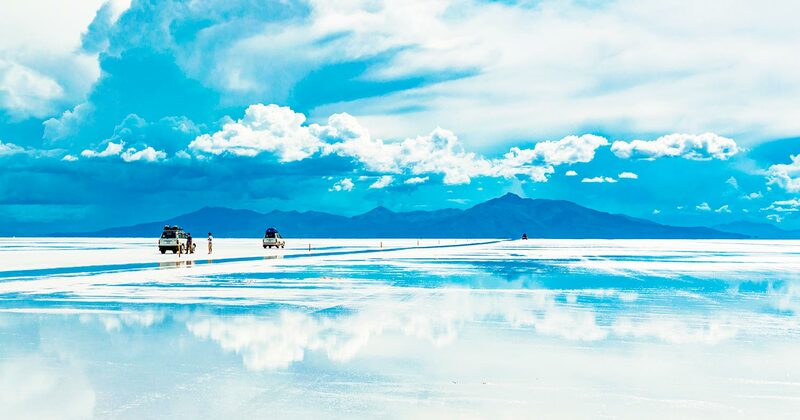 *Optional Salt Flat Excursion: Today explore the salt flats; the largest in the world! 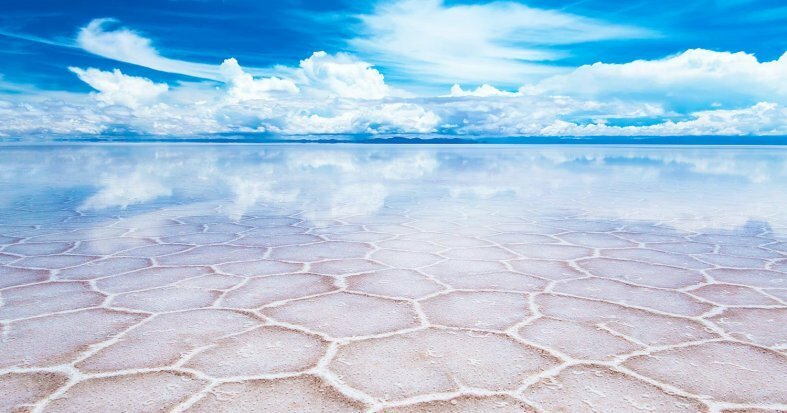 The landscape is a legacy of a prehistoric lake that went dry, leaving behind a desert-like, nearly 11,000-sq.-km, formation of white salt and rock formations. Its otherworldly expanse is home to many pink flamingos, volcanoes and giant cacti. En route, visit the Train Cemetry, where 19th-century locomotives have been abandoned and explore the pre-Colombian Pucara de Ayque Fort, for a glimpse into the fascinating history of this region. Price per person: £142. Breakfast at the hotel. Transfer to the airport for a flight back to La Paz. Free day at your leisure. 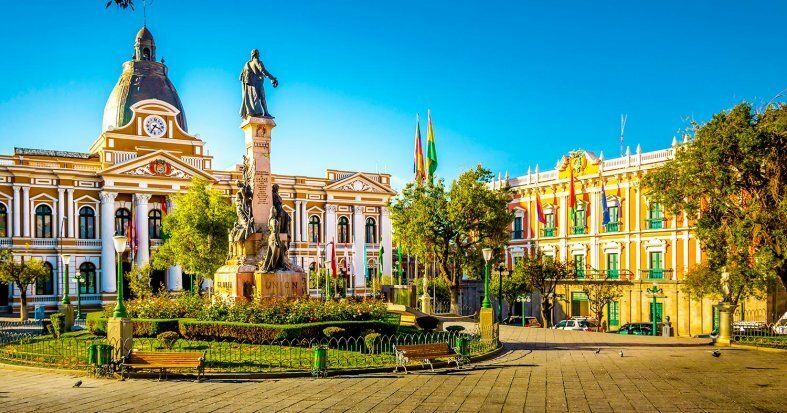 Spend the day discovering this high-altitude city, which is the administrative capital of Bolivia, and home to a variety of colourful neighbourhoods. We recommend taking the public transport cable cars to discover the city and also capture the stunning views from the perfect vantage point. Overnight stay in La Paz. Breakfast at the hotel. 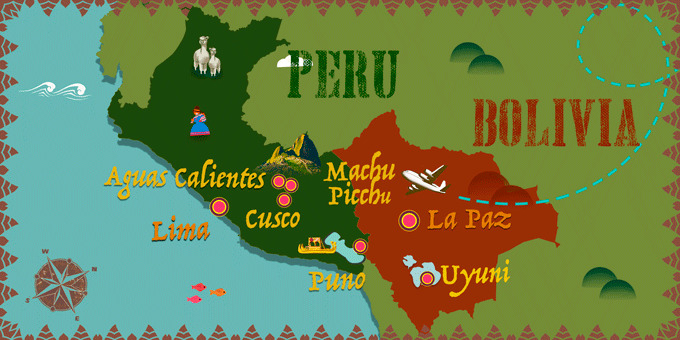 Transfer by road into Peru and to Puno, home of Lake Titicaca. Spend the afternoon and evening at your leisure relaxing by the lake and enjoying the spectacular views. Overnight stay in Puno. Breakfast at the hotel. 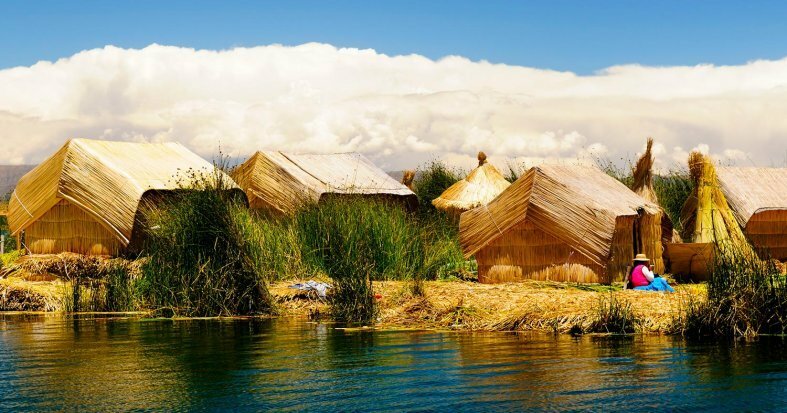 Excursion to Taquile and Uros Islands. Depart to the Taquile islands - Taquile has remnants of the past which date back to pre-Inca times. The Islanders are famous for their beautiful clothing, their incredible knits, and textile industry. Next, visit the community of Huayllano, on the same island, where the locals show their traditional crafts and agriculture. Lunch. 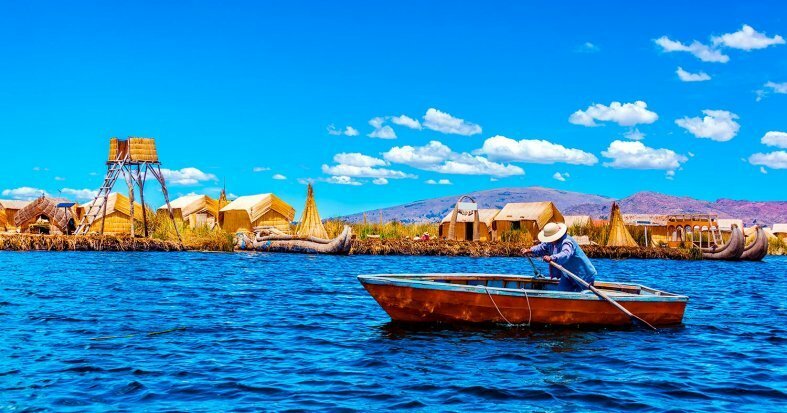 Visit the islands of Uros situated in the middle of the national reserve of Lake Titicaca. Transfer to hotel. Overnight stay in Puno. Breakfast at the hotel. Transfer to the bus station for the transfer to Cuzco. Leave the station and start your journey on the bus to Cuzco and enjoy the marvellous landscapes of the South Valley of Cuzco. Visit Andahuaylas, the beautiful church of 17th century, featuring an impressive organ decorated with angels and cherubs. Later on, visit the ruins of Racqui, also known as the ´Temple of the God Wiracocha and have lunch. Discover La Raya, the highest point on the highway between Puno and Cuzco for amazing views of the landscape. Arrival in Cuzco and transfer to hotel. Overnight stay in Cuzco. Breakfast at the hotel. Transfer to the train station in Cuzco. Your adventure starts onboard the Expedition train heading towards Aguas Calientes. 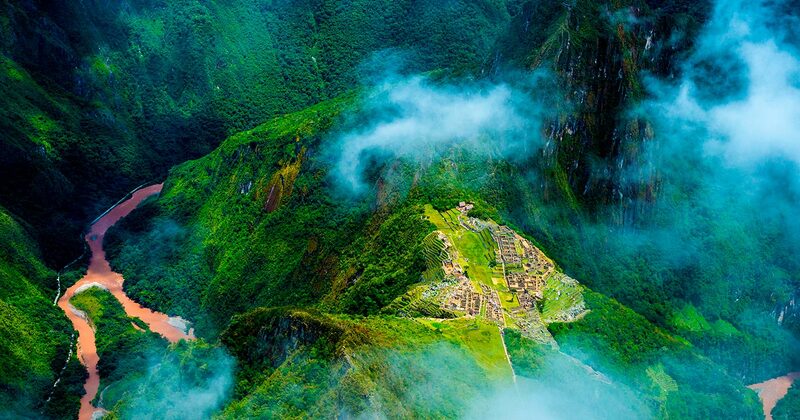 Upon arrival, head to Machu Picchu for an unforgettable experience. 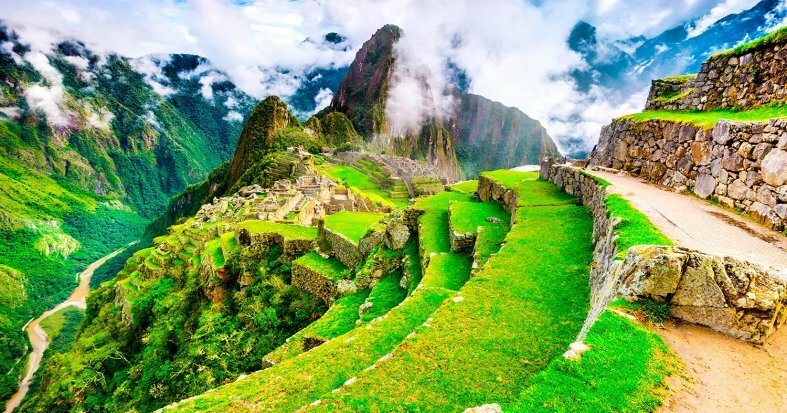 Once in Machu Picchu, you will be able to cover each corner of this seventh wonder of the world, a UNESCO World Heritage site. Return to the town of Aguas Calientes for lunch. Rest of the day is free. Dinner and overnight stay in Aguas Calientes. *Please note: for your overnight stay in Aguas Calientes, you will leave your main suitcases and baggage at the hotel in Cuzco and you are permitted to take only a small overnight rucksack or bag for the journey to Machu Picchu on the Expedition train. Breakfast at the hotel. At the indicated time, return to Cuzco. Arrival and transfer to hotel. Overnight stay in Cuzco. Breakfast at the hotel. Spend the day at your leisure. 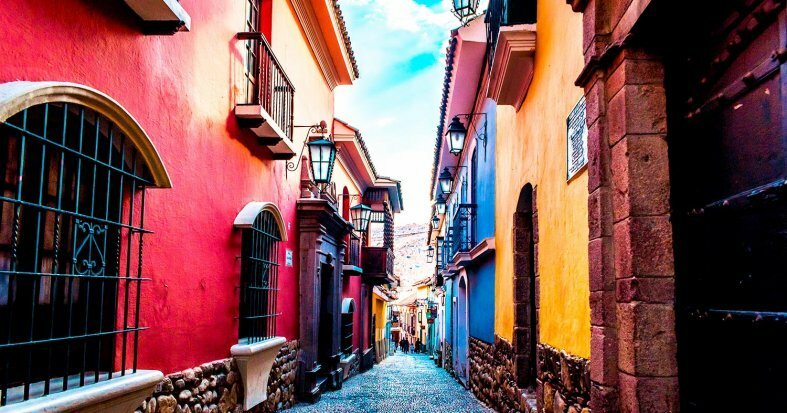 We suggest taking the optional excursion to the Sacred Valley*. Overnight stay in Cuzco. 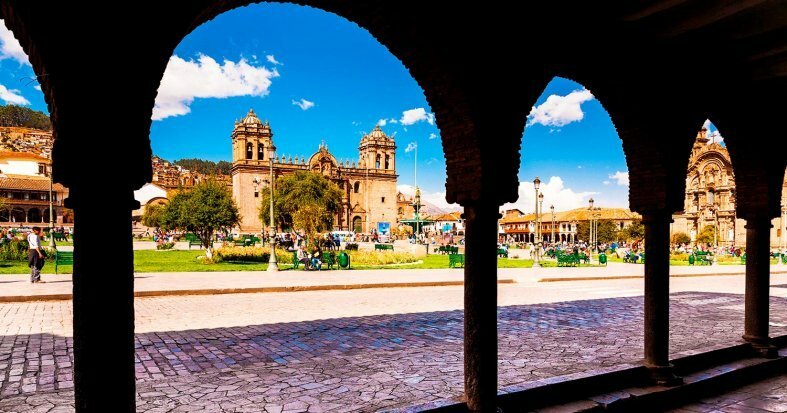 *Optional Excursion to the Sacred Valley: Begin the day at Chinchero, a small picturesque townhome to the important archaeological Inca site, constructed in the final years of the decade of 1400, a beautiful and traditional church. Visit “Urpi” a famous textile centre, where the town people have conserved the Andean spinning techniques of knitting. Visit Ollantaytambo a fort which also served as a temple. On your way to Ollantaytambo, stop by Racchi viewpoint for a stunning picturesque photographic opportunity. Afterwards, continue towards the town adjacent to Ollantaytambo, “the only alive Inca town” which hasn’t been inhabited since the 13th century. Price per person: £60. Breakfast at the hotel. Flight to Lima. Arrive and transfer to the hotel. Spend the rest of the day exploring at your leisure. Overnight stay in Lima. Breakfast at the hotel. Today, visit the districts of Miraflores and San Isidro. Enjoy the panoramic view of Huaca Huallamarca and visit the Sant Domingo Convent. Walk through Plaza Mayor which is surrounded by Arzobispal palace, the metropolitan municipality and the cathedral. Stop to try a traditional Pisco Sour. Overnight stay in Lima. Breakfast at hotel. Transfer to the airport for your return flight back the UK. Night on board. Please note: for your overnight stay in Aguas Calientes, you will leave your main suitcases and baggage at the hotel in Cuzco and you are permitted to take only a small overnight rucksack or bag for the journey to Machu Picchu on the Expedition train.